RARE COBB!!! "The Georgia Peach," was an American Major League Baseball (MLB) outfielder. He was born in rural Narrows, Georgia. Cobb spent 22 seasons with the Detroit Tigers, the last six as the team's player-manager, and finished his career with the Philadelphia Athletics. In 1936 Cobb received the most votes of any player on the inaugural Baseball Hall of Fame ballot, receiving 222 out of a possible 226 votes. 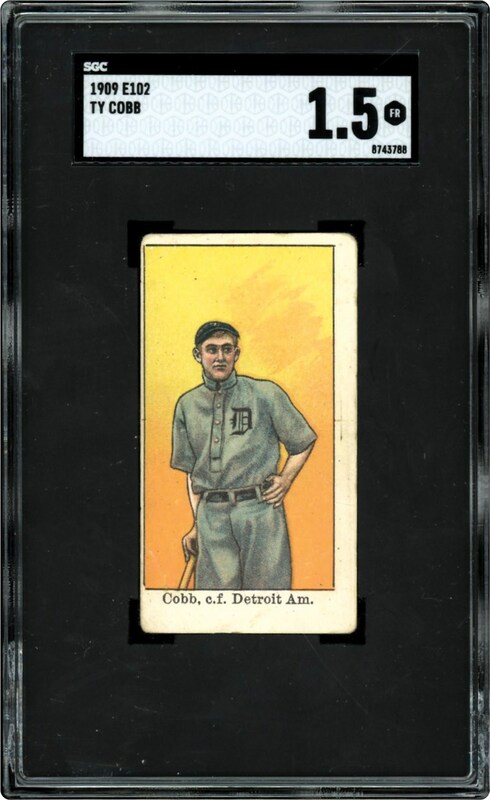 An incredible ball player, Cobb's cards are always in demand. The offered 1908 E102 Set of 25 card is graded by SGC as a 20 Fair 1.5. 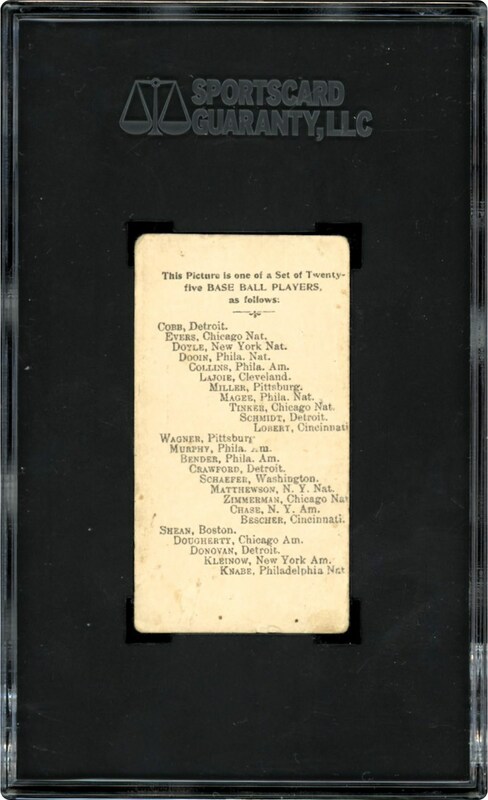 This card is 111 years old. GRAB THIS PEACH!! !